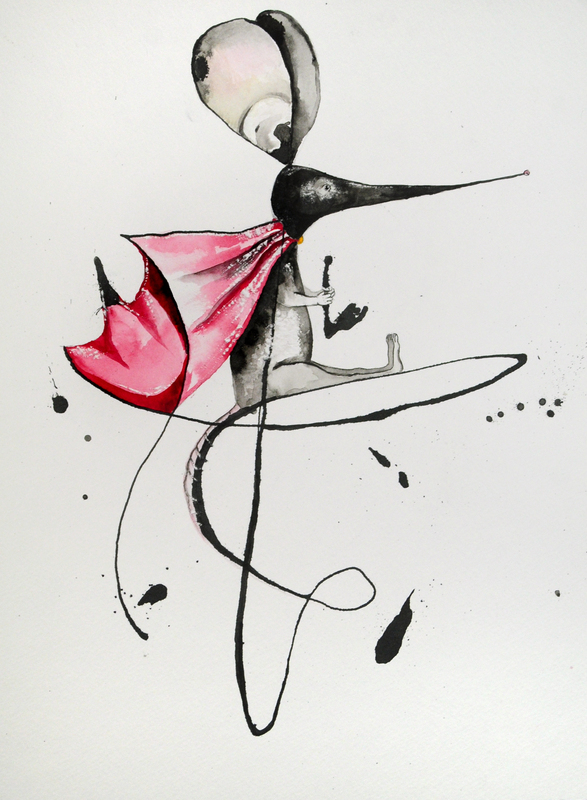 Abstract Super Mouse- is an original 11″x15″watercolor and ink painting. It’s framed in a black metal frame with white archival matting. This series is done by making a random line across the paper and then “finding the animal” with in the line. I do not know what each line will turn into when I start.I am representing this piece so feel free to email me klc.crawford@gmail.com for pricing.